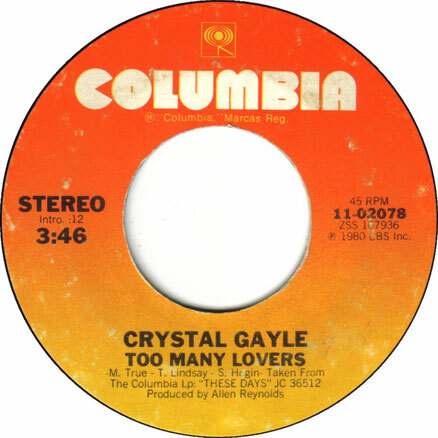 Crystal Gayle performs "Too Many Lovers"
"Too Many Lovers" is a song written by Sam Hogin, Ted Lindsay and Mark True, and recorded by American country music artist Crystal Gayle. It was released in May 1981 as the third single from the album These Days. 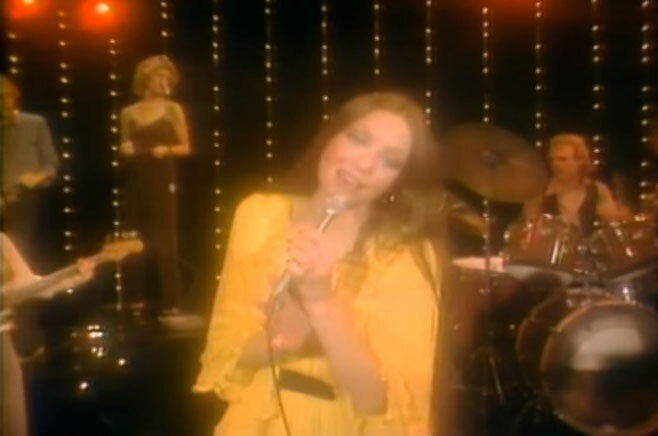 "Too Many Lovers" was Crystal Gayle's ninth number one on the country chart. The single went to number one for one week and spent eleven weeks on the country chart.